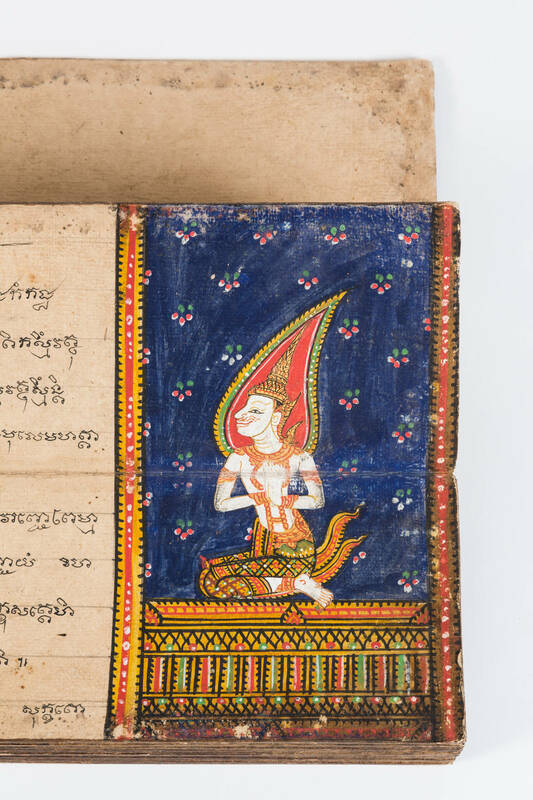 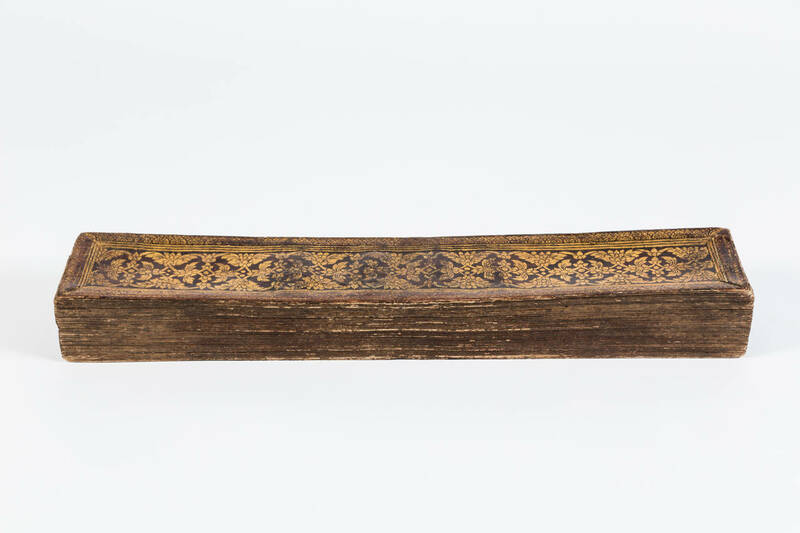 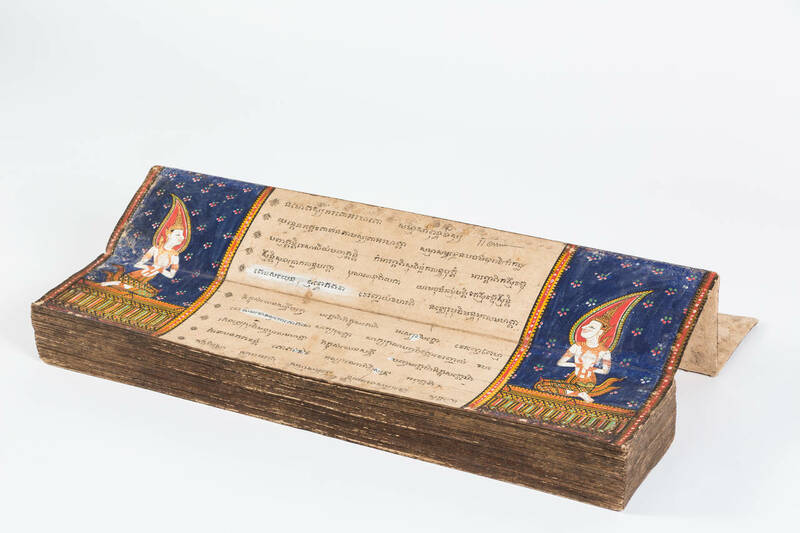 A 19th Century Thai folding book, containing a Buddhist manuscript in black ink on cream paper, written on both sides with 16 narrative paintings in gouache extending over two folios. 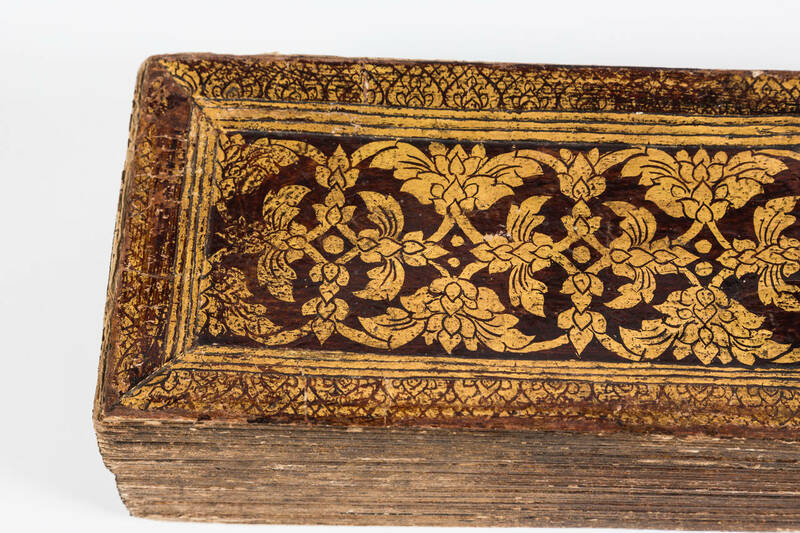 The cover is in goat skin with gilding accent. 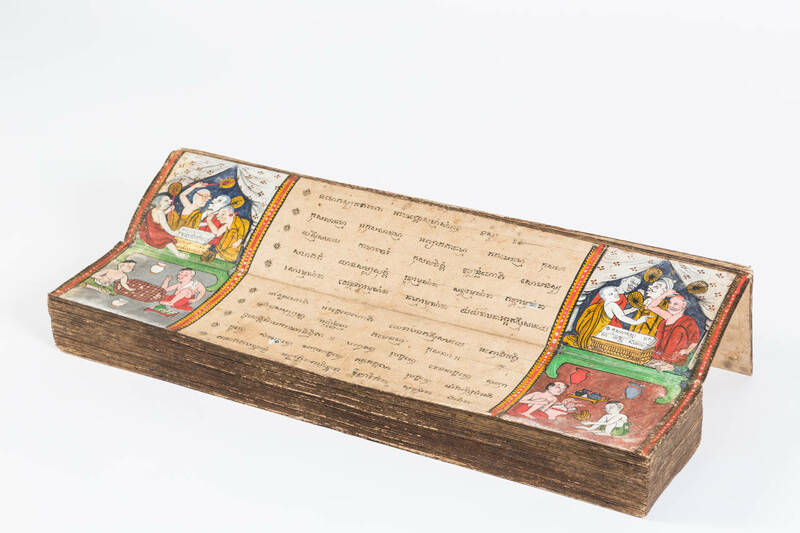 The miniatures appear to illustrate the life of Krishna, probably under the Bhagavad-Gita category. 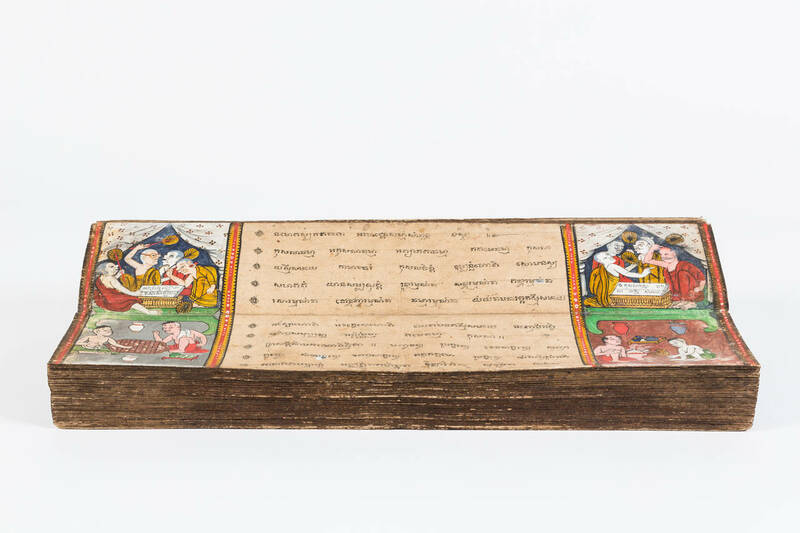 A great coffee table conversation!